Be aware that, at least for 2011, you can't get both the new, enhanced UVO voice-command system and the navigation system (also packaged with premium audio) in the Kia Optima. For now, it's one or the other. 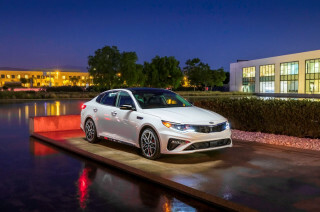 Kia simply gets it; basic doesn't have to be boring, and the 2011 Kia Optima shows that mid-size sedan shoppers don't have to settle to design boredom or a lack of features. The 2011 Kia Optima doesn't have much of anything in common with the competent but unremarkable Optimas of the past, and that's just fine. The new Optima is now about the same size as all the best-selling mid-size sedans, like the Toyota Camry, Honda Accord, and Chevrolet Malibu; but visually it's a good deal more exciting—upright, focused, and clean, with just a bit of Euro influence. Inside, the Optima gets more of a sport-sedan look, with the instrument panel canted toward the driver. An aggressive stance, chrome tipped dual exhausts and, on top trims, flashy chrome wheels complete the look. Performance-wise, the new Optima does it all right, with a sweet, powerful-yet-economical engine, great steering, and a quick, nimble feel overall. The 2.4-liter direct-injected four-cylinder engine makes 200 hp—just as much as the turbocharged four that's been offered in the Volkswagen Jetta—and comes with stellar EPA ratings of up to 24 mpg city, 35 highway. All the while, ride quality is firm but comfortable, and the Optima's cabin is a quiet, refined place to be. However, seating in the Optima is one weak spot. Front seats in particular feel quite short and very flat, lacking padding and contouring compared to other vehicles in this class. There's decent space though—just enough headroom in front, but reasonably good accommodations in back for adults. The bright spot is that heated-and-cooled front seats as well as heated back seats are optional on the Optima EX and SX. Features remain a strength throughout the Kia lineup, and the Optima is no exception. 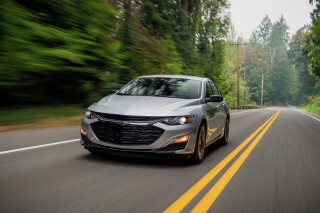 You sure get a lot of value for the money, and desirable connectivity features like Bluetooth and iPod connectivity aren't limited to the top models in the lineup. Even mid EX trims get things like dual-zone climate control and a smart-key system. Top SX trims will offer a more powerful 274-hp, 2.0-liter turbocharged four-cylinder engine, while an even higher-mileage Hybrid model will join the lineup late in the model year. The 2011 Kia Optima impresses as clean, upright, and focused, with just a dash of Euro influence. It's hard from some angles to believe that the Optima is very closely related to the Hyundai Sonata. Cover up the badge, and from the outside we wouldn't be surprised if it were a Saab or a Volkswagen. The Optima looks handsome, like it would age well, while the Sonata is perhaps a little overwrought in the sheetmetal department. About the only exterior detail we haven't warmed up to is the side 'vents' at the back of the fender. They're cosmetic only, and even at ten or fifteen feet away you can tell they're just plastic inserts, finished with bright accents. Inside, the Optima holds up just as well to the critical eye. Most other mid-size sedans on the market have an instrument panel that sweeps straight across, with the controls in equal reach to the driver and passenger, but in the Optima the instrument panel sweeps over and abruptly down around the center stack, clearly framing off those climate control and audio controls and canting them at an angle toward the driver. A responsive yet economical powertrain, crisp steering response, and confident handling feel make the 2011 Kia Optima as close to a driver's car you can get without sacrificing comfort. 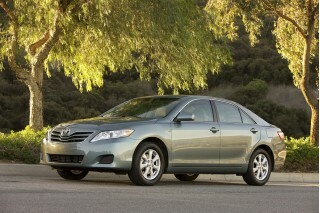 The 2011 Optima is comfortable, economical, and responsible overall, yet surprisingly enjoyable to drive. No question, it's more sporty and confident-feeling, compared to the Sonata, because of its nicer suspension tuning and much better steering feel. The Optima uses essentially the same steering gear and electric power steering unit as the 2011 Hyundai Sonata, but oh what a difference tuning makes. 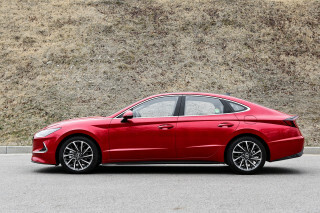 The assist feels to be from a good hydraulic system—which is to say, we like it—building weight with a natural feel off center, and not displaying that binding-then-light tendency we noted on curvy roads in the Sonata. Engineers told us that the Optima's speed-dependent steering system has three main levels of boost, but we found the transitions imperceptibly smooth. The powertrain in the Optima (the same base engine as in the Sonata) is quite simply sweet, and the base 200-horsepower, 2.4-liter GDI (gasoline direct-injected) four-cylinder engine in this new Optima feels perkier than the optional V-6 of just a few years ago. Even when driving along gently in traffic, shifts aren't lumpy. 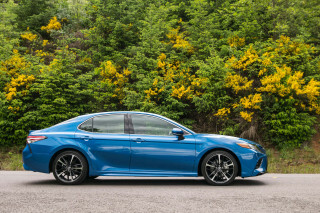 Full throttle from a standing start is pretty uneventful, and there the Optima doesn't feel any faster than base four-cylinder mid-size sedans with lower power ratings; but hold on a second and it all changes when the engine reaches about 2,000 rpm. From there on up the engine builds power and churns out the torque like the low-pressure 2.0T turbos from Audi and Volkswagen. If you're in sixth gear on the highway, squeeze the gas a bit and the transmission might not even need to downshift; you'll just gather speed much in the way you would with a much larger engine. A 274-hp turbocharged four-cylinder engine will join the lineup in a sportier SX (and EX upgrade) model by the end of the year, and late in the model year a Hybrid model will also make its debut. On the base LX model, there's a six-speed manual (we didn't get the chance to drive it), but all other models come with a six-speed automatic with Sportmatic manual control. 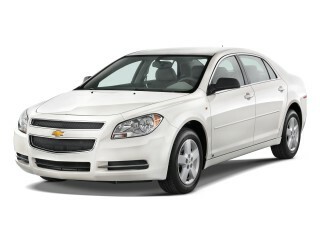 In the meantime, the base engine provides plenty to be delighted with, and the six-speed automatic works well with it. Ratios are a bit tall, but nudge the shift knob over to the left, and you can tip up or down a gear with manual control. It even holds the gear you manually selected if you put your right foot in it. But unlike many newer sedans with sporty pretenses, there's no 'S' mode—with delayed upshifts, earlier downshifts, and less hunting—that you can simply leave it in for curvy roads. With the exception of disappointing front seats, the 2011 Kia Optima is a very comfortable, practical family sedan. The 2011 Kia Optima has an interior layout that's not much different than any other model in this class. Front seats are a bit disappointing; the lower cushions are especially flat and hard, lacking proper padding and more importantly contouring. The upscale EX, comes with a power driver's seat for greater adjustability, but even then the passenger-side seat doesn't adjust for height or tilt. However, heated and cooled front seats—as well as heated back seats—are available on EX and SX models. The cooling feature's effectiveness was appreciated in the hot sun. Backseat comfort is quite good though, with decent legroom and just enough headroom. There's enough width in back for three across, provided your passengers aren't too tall or wide. Underpinnings are also pretty ordinary for this class of car—struts in front, a multi-link layout with coil springs in back, and front anti-roll bars. But it's all been tuned in a way that makes the Optima feel as refined and comfortable-riding as the Volkswagen Passat but as responsive, nearly, as the Mazda6. Hit the tightly curved canyon roads, and the Optima doesn't lean and roll overtly; response is crisp, and rough surfaces don't throw you off-course—basically meaning that you can enjoy driving a little more without upsetting your passengers. All the more impressive is that the Optima's cabin stays quiet inside. The asymmetrical dash layout is appreciated, as then audio and climate controls don't use seemingly identical knobs and buttons. And the Optima's interior isn't drowning in matte-metallic grays—instead the matte-black surfaces feel sporty and just fine—while the dash is surrounded by a somewhat soft, synthetic-leather-like trim material. In a class full of very safe vehicles, the 2011 Kia Optima will still likely manage to stand out as one of the safest. Both safety features and accident-avoidance features receive as much, if not more emphasis in the 2011 Kia Optima than in other mid-size sedan models. Front active headrests are standard in the 2011 Optima, along with front seat-mounted side airbags and side-curtain bags. Stability control and anti-lock brakes are of course standard, too; so is Brake Assist, and Hill Assist Control, which helps avoid rolling back when starting uphill. The Optima has earned top five-star ratings in every test category in the new, more stringent federal tests introduced for 2011; it's also an IIHS Top Safety Pick, with 'good' scores in all tests. 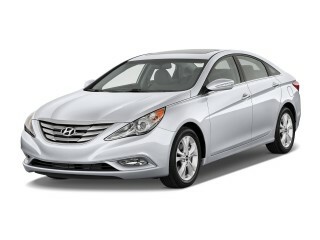 The 2011 Hyundai Sonata, which is closely related structurally but far from identical, has earned 'good' ratings in all categories of testing from the Insurance Institute for Highway Safety (IIHS), as well as the insurance-funded organization's Top Safety Pick designation. The 2011 Kia Optima has some available featuresÃ¢â‚¬â€?like heated-and-cooled seatsÃ¢â‚¬â€?that aren't even available on some luxury cars costing much more. The only blemish is that you can't get UVO and nav together. Just as with other models in the Kia lineup, the 2011 Optima has a feature list that doesn't disappoint. Just as with other models from Kia, expect to see the Optima price about the same or slightly less than rival base models, yet with more standard features. Even the base model comes with much-wanted features like Bluetooth, and those heated-and-cooled front seats that we rave about are available in mid-level EX or SX trims. The heated backseat is yet another class-exclusive. Kia's available UVO (Your Voice) system on the Optima would allow you to, for instance, quickly request a different song from the iPod while you're in the middle of following navigation directions. However, for now there's one glaring equipment issue: you can't yet get UVO and the navigation system together. They simply don't play with each other at this point, though Kia expects to soon have a solution. If you do opt for the nav system (packaged with the upgraded audio system), you get a the same Bluetooth system that base Optimas have—by Parrot instead. Inside, the Optima LX includes cruise control, tilt/telescopic steering, a cooled glovebox, and 60/40-split folding rear seatbacks. A roomy trunk and low, flat floor completes this very travel-friendly package. Stepping up to the EX gets you push-button start, a smartkey system, dual-zone climate control, leather trim, a power driver's seat, auto up/down windows, a Homelink garage-door opener, and upgrades to illumination and trim. On SX models, there's an upgraded gauge cluster, black leather woven seat trim, French seams, steering-wheel paddle-shifters, and lighted scuff plates. 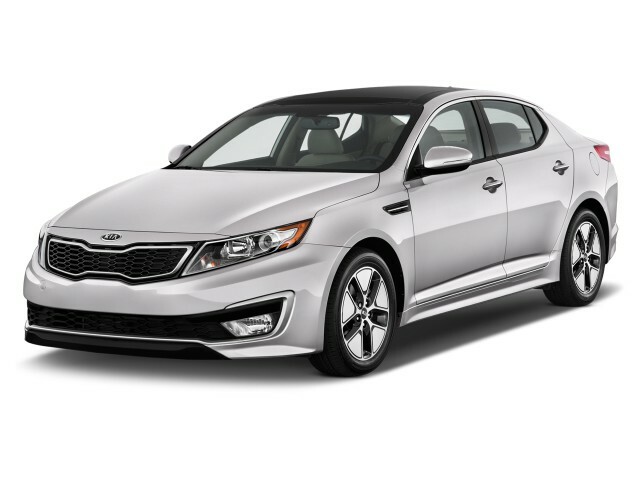 The 2011 Kia Optima is class-leading in fuel economy and is only outdone by more expensive and complex hybrid models. Thanks to the technologically advanced gasoline direct-injection (GDI) engine in the Optima, along with rather tall gear ratios with either transmission, fuel economy is great. EPA ratings are right up at the top of the class—at 24 mpg city, 34 highway with the automatic. The manual transmission does 35 mpg highway, while the turbocharged engine will get a surprisingly good 22/34. With the base engine and automatic, on a 160-mile Southern California driving route that included mostly high-speed freeways and mountainous two-laners, we saw our trip-computer average approach 25 mpg. An Eco mode, plus mindful driving, dials up softer throttle response and earlier shifts, among other things, and can improve fuel economy by up to seven percent, Kia says. The 2011-2013 Optima Hybrid is one of a set of vehicles found to have overstated fuel-economy numbers. Kia initially submitted figures of 35/40 mpg and 37 mpg combined to the EPA, which allows automakers to self-certify fuel economy. On a confirmation check of several vehicles, the EPA found the Optima Hybrid's actual tested fuel economy to be 34/39 mpg or 36 mpg combined. Owners can register with Kia to receive reimbursement for the gas consumed above and beyond expected levels; more details are found at KiaMPGInfo.com. Still stylish and fun 4 years later. Fun car to drive, still turns heads, still peppy. I have had 3 paddle shifters replaced and the turbo needed adjustment a couple of times. Lots of room, great stereo.